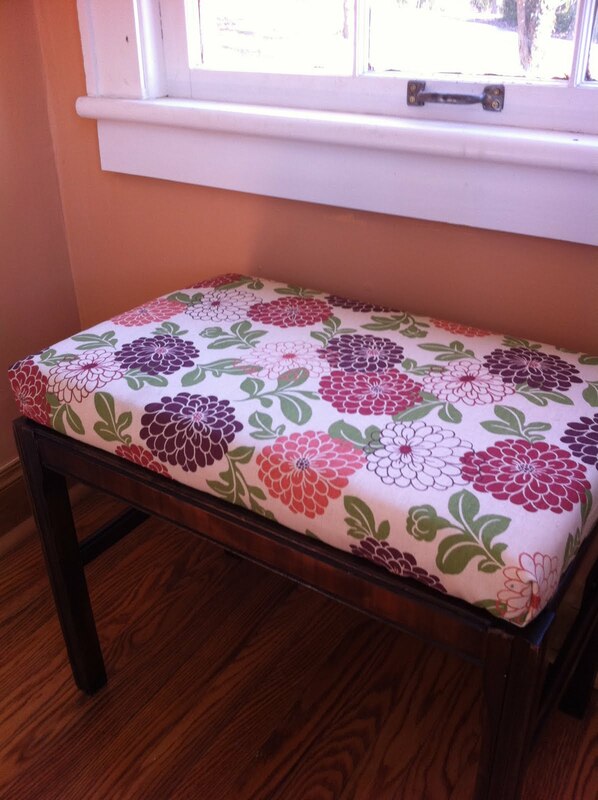 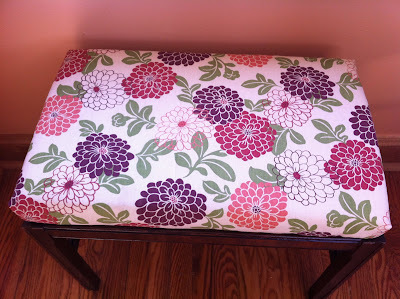 My second project in my self taught upholstery class is a $20 bench from an antique shop. I liked it because it was simple and affordable. 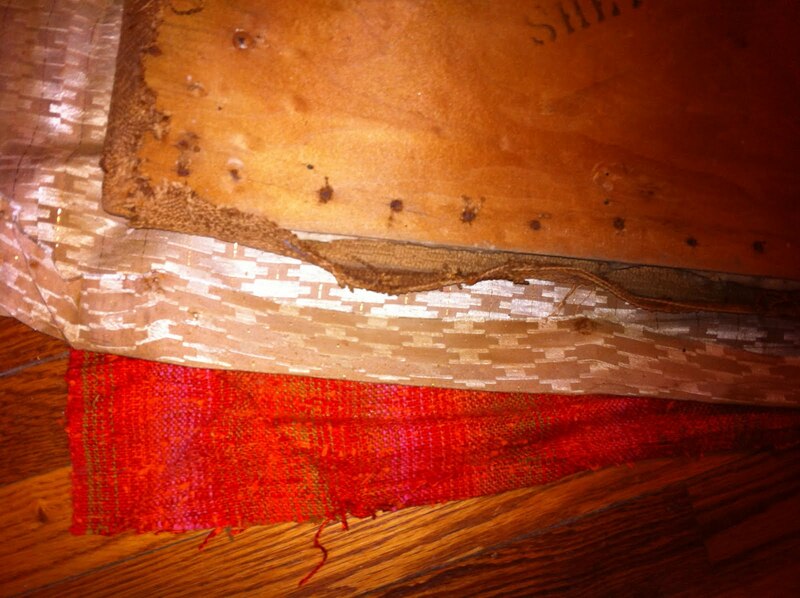 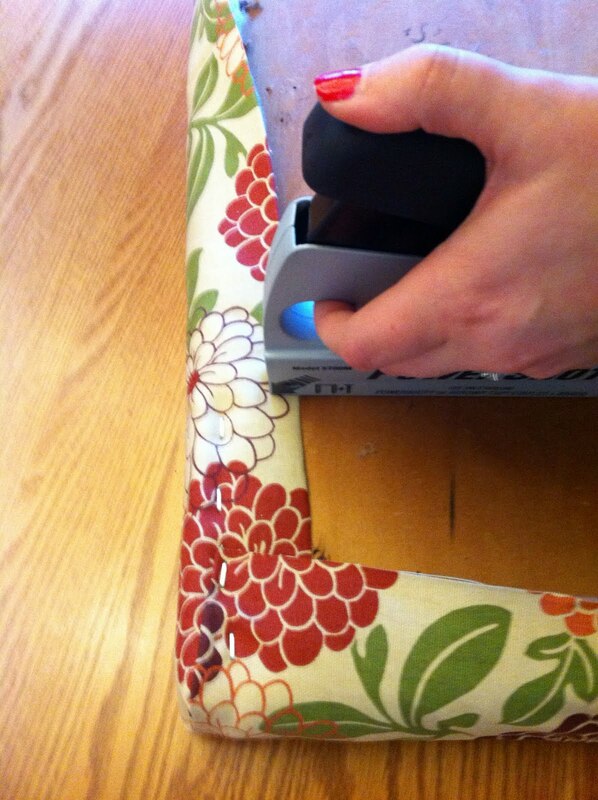 My favorite part of the project was that as I began removing the fabric the layers of fabric just kept appearing. 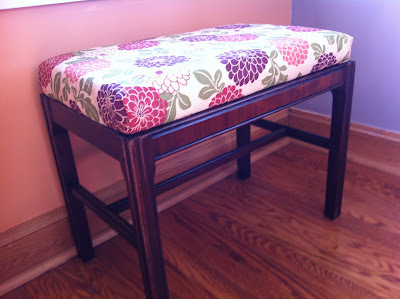 I reupholstered in fabric I purchased years ago, and I sanded and darkened the wood with a deep chocolate stain.